Website Downtime Hurts - Worry Less with Wormly. 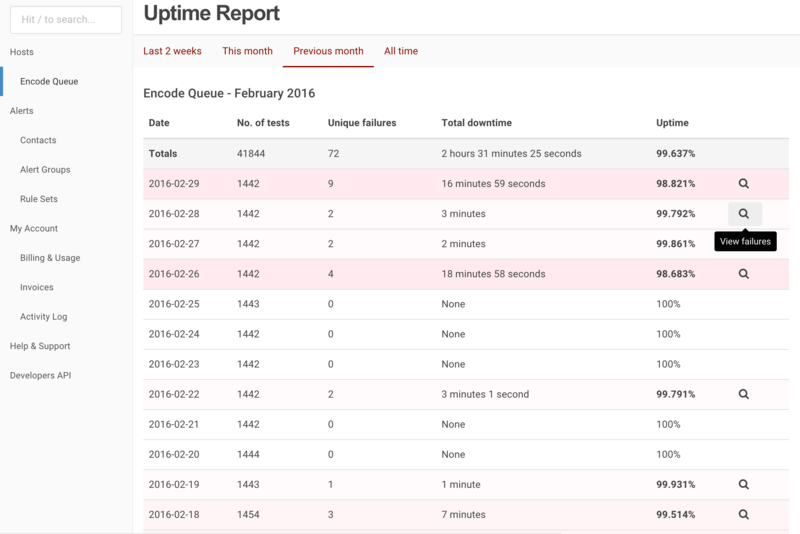 Uptime and Downtime Reports can be a sea of numbers, especially with the permanent data retention that Wormly offers. Accordingly we've developed an affinity for various shades of pink and red to ensure you can easily identify and contrast higher and lower severity periods of downtime. You can also make your Uptime Reports publicly visible to demonstrate to your customers your transparency and commitment to uptime. Not another app to install! Everyone is suffering from app-fatigue in 2019, so Wormly avoids this by providing a responsive, fully functional, progressive web app - which is always instantly available and up-to-date across all mobile devices. Yes, that image is an Android / iPhone hybrid, and we're happy with that because Wormly looks and runs exactly the same on both platforms! Wormly's Consultants plan offers 30-second check resolution to deliver very high accuracy uptime monitoring. This high frequency monitiorng also means that you'll be alerted to any failures within 30 seconds - often much sooner. You can monitor 20 different websites & services at the fast 30-second frequency - that's over 1.8 million checks every month, giving you a complete picture of your uptime performance. If you're a web host or website publisher, the Wormly Consultants Plan gives you a professional grade monitoring solution, at a very low price. 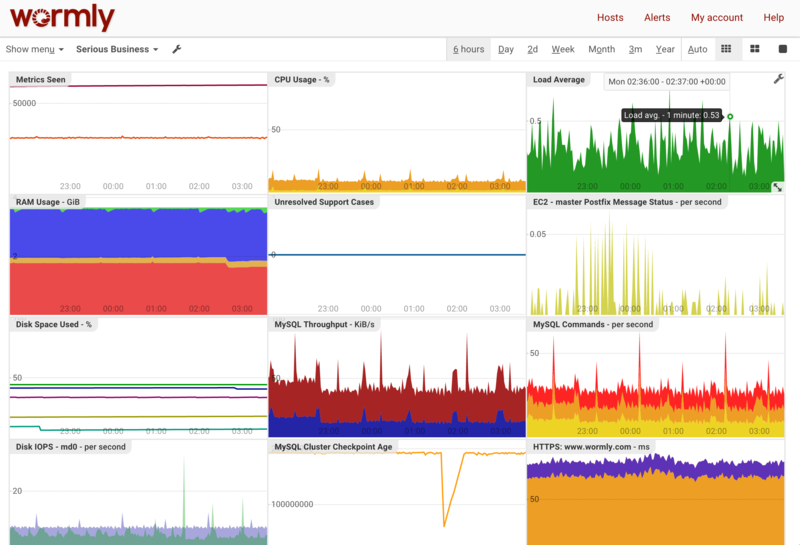 Server health monitoring has always been more hassle than it should be - in fact that's why we started Wormly 10 years ago. Even today, leading packages such as collectd vary wildly across platforms in terms of available versions, supported plugins and the esoteric configuration incantations required to use them. That's why we offer pre-built packages of collectd-wormly for all major GNU/Linux distros and a ridiculously simple one-line install & configure script. We challenge you to find graphs that render faster than ours! Our mission is to get graphs in front of your face before you can even spot the 'Loading' message. Even if you're viewing a 3 or 12-month graph series, we've delivered before you can blink. Our graph pages can be customized in every conceivable way, render beautifully across all devices and screen sizes and convey the maximum information in the minimum of time. 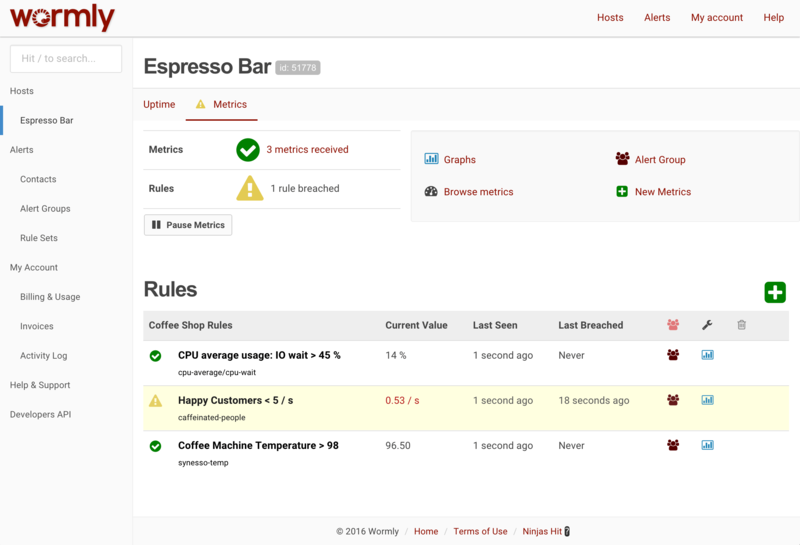 You can monitor and graph anything at all, from Disk IOPS to daily sales to the temperature of the coffee machine! 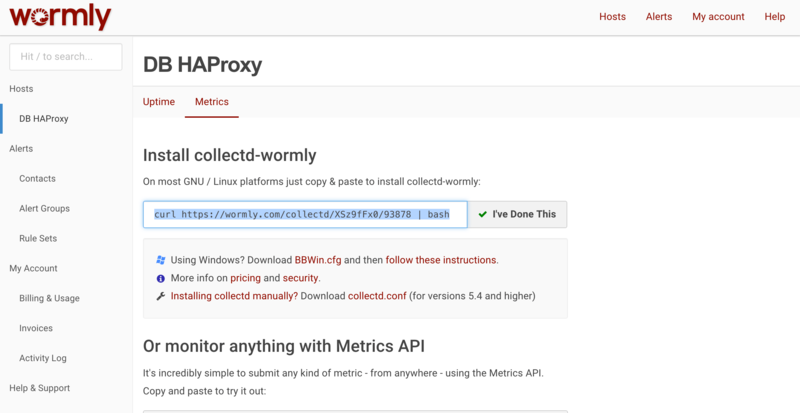 Wormly's unique Metrics Monitoring helps you ensure your web server is in good condition and performing fast. Prevention is always better than cure, so arm yourself with the right information: CPU load levels, RAM usage, system uptime and more. Anticipate capacity problems sooner, and deliver better uptime to your customers. Whilst our HTTP Sensor is impressively powerful on its own, we know that you need more than just monitored web servers to keep your systems running smoothly. 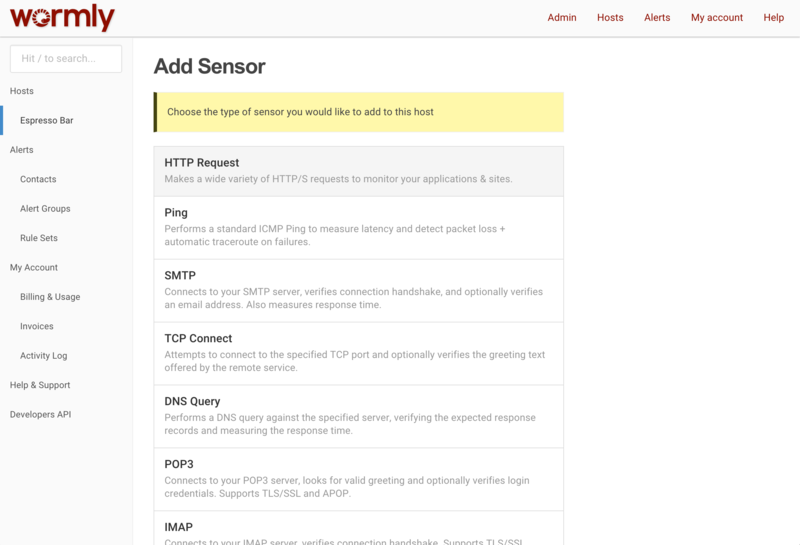 Wormly offers a full suite of sensors to monitor just about anything that speaks TCP/IP. Monitor the availability of up to 20 different websites to ensure that you're meeting required service levels, and that your suppliers are doing the same. Be the first to know if your website goes down, using our full range of notification channels including SMS, ICQ, MSN and Email. Plus you get 70 free SMS credits every month. So many uses: Verify the uptime your data center, monitor the speed of your secure order form, test your customer mail server performance. The possibilities are endless. In addition to the usual Metrics you collect from your systems - CPU Load, RAM, Disk IO, etc - Wormly makes it super simple to push any metric you like. Our Rule-based alerting system ensures that you can keep your team in the loop, and allowed fine-grained control at the host, rule set and even individual rule level. Even if the problem is just an overheating coffee machine! Monitoring the full range of TCP/IP services, Wormly will monitor every aspect of your infrastructure to keep you online and running fast. Receive instant alerts if failures are detected, and keep an eye on performance with Wormly's beautiful trend graphs. The only thing worse than an outage at 4am, is being woken up by a false alarm at 4am! 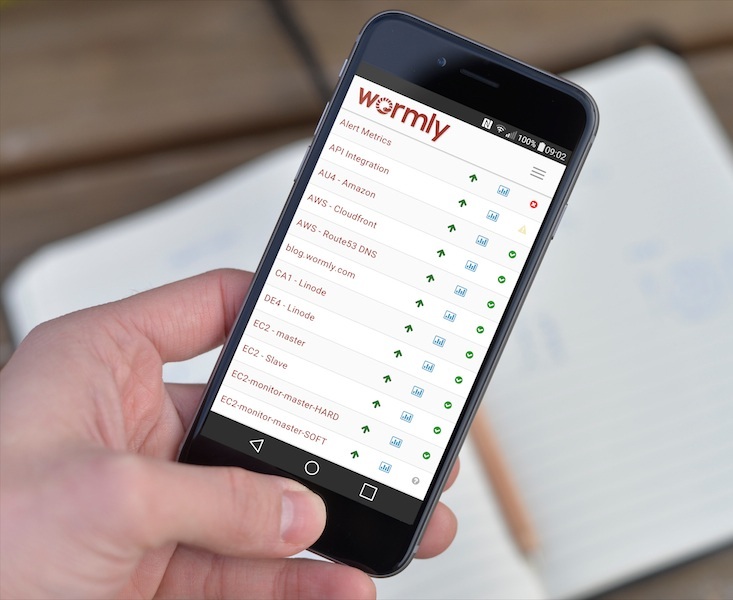 Wormly stringently verifies failures before alerting anyone. Plus we offer sophisticated escalation settings, so you can alert different people depending on the length of the outage. You can also schedule downtime and define “Do Not Disturb” periods so people aren't needlessly bothered. In offering an uptime monitoring service, we acknowlege that servers will fail - even our own. So we designed our system to tolerate such failures without an impact on service delivery. Our monitoring network is distributed across multiple nodes. Each node maintains constant contact with every other node, and takes over the duties of failed nodes as the need arises. Stop wondering whether your servers are down - get peace of mind for just $65 / month. +1 tested every 15 seconds. View base & excess usage pricing. We're already supporting companies who have literally hundreds of websites with millions of visitors, and we're confident that we can give you peace of mind no matter how big your needs. Compare all our plans to find one that's right for your business. View all plans. Don't hesitate to contact us if you can't find a plan that meets your needs - we love to customize!